You want to have the right tools for sanding your glass bottles whether you are new to glass bottle cutting or a seasoned pro. Inspiration strikes – Sometimes all it takes is a little spark. Silke had seen some small plants on sale at the local grocery store. They were marked so low I told her to just take them all. 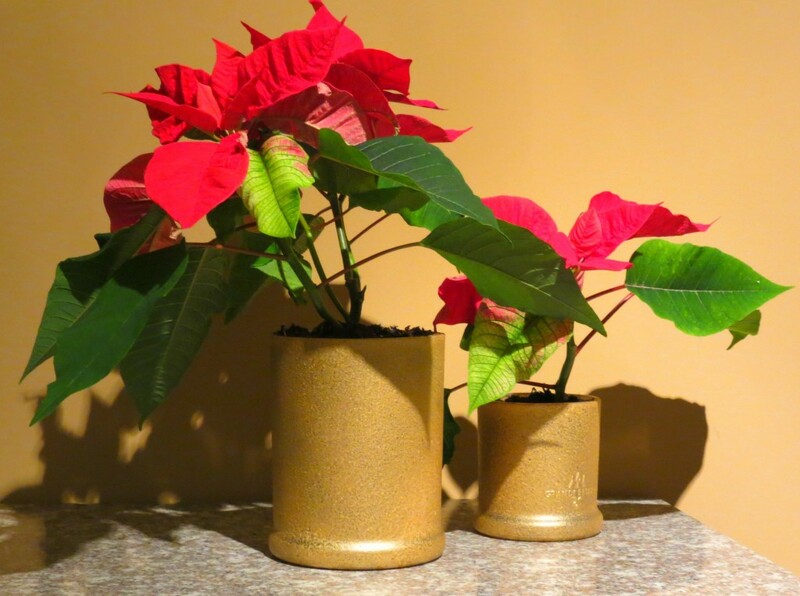 She confessed to not having enough pots at the house to put them in. Suddenly my shelf full of bottles didn’t look crazy after all. When I got done she would have more than enough plant holders. Challenge accepted! I’ve been scoring and separating bottles for a while now and the only conclusion that I’ve come to is that no two bottles are the same. The labels may look identical but at the end of the day the glass composition is unique to that bottle alone. The long and short of it? You really never know what will happen until you do it. With my bottles scored I started my hot/cold separation. One of the bigger bottles left a shard that was so big I really began to wonder if it was even worth keeping. The score line was still running through it and the rest of the bottle that did separate came off beautifully. I brought it back outside and ended up using a pair of pliers to take the shard off. Putting some tape over the teeth of my pliers provided enough protection to avoid metal on glass. What I ended up with was pretty close to a level surface, but it was still a pretty ugly, jagged rim. It was time to dig out the big guns to salvage this cut bottle. The ‘go to’ tools for the job. 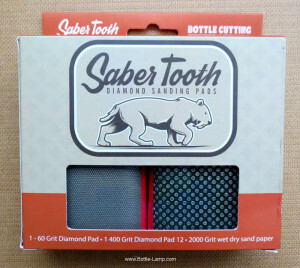 I’ve reviewed the Saber Tooth Diamond Sanding Pads awhile back. These sanding devices have saved more bottles then I can count and they are mandatory to use after every glass bottle that is cut. I don’t care how perfect the bottle rim may look. Taking the extra step of ensuring that you have a nice smooth edge on your finished product is a must, not only for myself but the end user as well. I don’t want Silke to cut her finger on a sharp edge while watering or moving the plants. The big glass bottle that I had to sand was going to take some extra elbow grease to get it to where it looked descent. I had my work cut out for me! Who’s keeping track of the time? I lost track of time. My only tell tale sign was that my back was starting to tighten up from standing stretched over the bottle for so long. I was going back and forth between the two sanding pads to try to work out the divots. It took a little work but by the time I was finished only I would have known how bad the bottle rims had originally looked. Sorry, I forgot to take a pictures while sanding these bottles. Here’s one I took last summer. 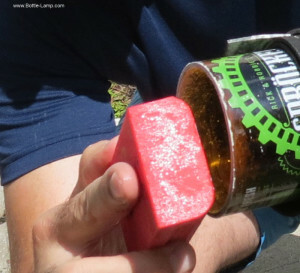 I will tell you right now that if I hadn’t had these sanding pads there is no way that I would have stood and sanded this bottle as long as I had. The ergonomically designed holders are easy to keep in place and having the diamond tipped pads makes such a huge difference over conventional wet sanding paper. 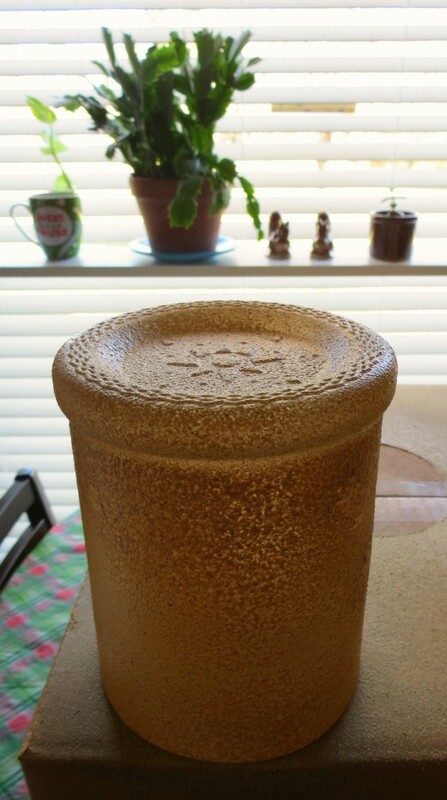 The sanding paper would have disintegrated in the time that it took me to get this particular bottle sanded (about 40 minutes). The finished product. When I was finally finished with the cutting and sanding I decided to spray paint them as well to give them a nicer, more festive look. 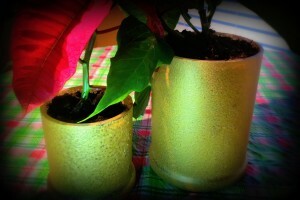 I used Krylon’s Stone Metallic in Gold, which gives the plant holders a stone-textured look. 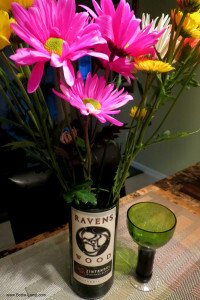 Making Bottle Plant Holders was a simple DIY project that came together with the right tools. Please leave a comment below to let us know what you think.